Sophie had successful urohydropropulsion this week, removing many small stones. Voiding urohydropropulsion, then, is the act of using a liquid to expel something from the urinary tract. More specifically, we are using a physiologic solution in the bladder to remove urinary bladder and urethral stones. This technique cannot help stones that are in the kidney(s) and/or ureters. 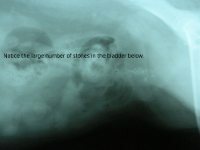 However, unlike people, dogs and cats form more stones in their bladders than in their kidneys. The technique was developed by Dr. Jody Lulich at the University of Minnesota Urolith Center. The steps are fairly straightforward. It can be practiced in the wide-awake, sedated or fully anesthetized patient. First, aseptically (using a sterile technique), introduce a urinary catheter. Second, instill physiologic saline or lactated Ringer’s solution into the bladder to distend it. Care must be taken not to overdistend and rupture the bladder. Third, place a finger onto the urethra to prohibit flow while removing the catheter. Fourth, orient the patient with the spine vertical (standing up like a human) and have an assistant squeeze the bladder, after which the finger inhibiting flow is removed. The result should be a rush of urine and solution from the bladder, the goal of which is to carry urinary bladder stones in the flow. Of course, the size of stones that can pass is proportional to the size of the patient’s urethra, which is roughly proportional to the overall body size. While the procedure can theoretically be used in female cats, it’s going to work on only on the largest queens with the smallest stones. Male cats’ urethras are much to small for VU to be practical. 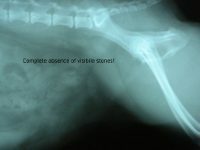 A pet with a really large cystic calculus (bladder stone) is going to need cystotomy: opening the abdomen, incising the urinary bladder and removing the stone that way. One of the giant advantages of voiding urohydropropulsion is the fact that tiny granules of stone material that might be missed or overlooked in an open surgical technique are more likely to be flushed out. The procedure can be repeated as many times as necessary, although the practitioner must take into account that inflammation of the urethra and bladder lining occur with each passage of the catheter. Still, it is much less invasive and less irritating than cystotomy. Sophie's pretreatment radiograph. Notice the many stones. and the total absence of stones on the post-treatment film. No stones can be seen after the procedure. 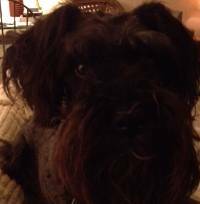 The stones have been sent to the University of Minnesota Urolith Center, where quantitative analysis will tell us whether Sophie has a recurrence of calcium oxalate calculi. See you next week, Dr. Randolph. Are there vets doing urohydropropulsion in the Washington DC metro area? Sorry, Ann, but there is no way for me to know, as there is no database on the practice. Did you ask your veterinarian? Practicing in your area, he would be better able to answer the question. It’s not a terribly difficult procedure, so it’s entirely possible that he does it! If not, he should be able to refer you to someone nearby who does, even if it’s a nearby teaching hospital. Please write back and let us know how your pet does. Best wishes, Dr. Randolph. Thank you for an excellent question, Barbara, and an opportunity to inform others who may face the same challenge. The use of diet to dissolve and/or prevent stones is a very exacting science. Adding other foods, regardless of whether it’s another balanced diet or imbalanced supplementation like chicken and rice, can interfere with the prescription diet’s efforts to starve the urine of the building blocks the stone needs in order to form. In the case of struvite, that’s ammonium ions, magnesium and phosphate. As you might imagine, that’s not the whole story. Some patients need supplements to adjust the pH of the urine, and, sometimes our efforts to prevent struvite stones results in formation of calcium oxalate stones. I’ve often said, “There is nothing simple about the practice of medicine.” As for protein, all reputable brands of commercial foods are formulated with the proper balance of nutrients, including protein. Royal Canin is a reputable brand. Just because the protein source is vegetable and not animal doesn’t make it bad. Or good. It is just an alternative method of reaching the same goal of a balance of nutrients. 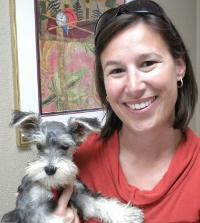 Don’t hesitate to ask your veterinarian to explain your Schnauzers’ problems again, from the top. These things are complicated and it’s not unusual that you might not grasp everything the first time around.